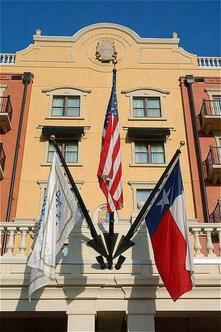 Hotel GRANDUCA, newly opened, is located in the Galleria, Uptown area of Houston. Anchored by Post Oak Boulevard, Uptown Houston is an urban community with exceptional beauty, refinement, style and international prominence in the heart of Houston. Across the street from Uptown Park, Houston's European-style shopping center has a variety of boutiques, restaurants and luxury spas. * Continental breakfast, valet parking 24 hours, local and 800 calls are complimentary. High-Speed wireless-seamless Internet throughout the property as well as a hard connection in each guest room is provided at no charge. Concierge, valet and housekeeping twice daily service are available 24 hours. Transportation is available at no charge for hotel guests within a 3 miles radius of Hotel GRANDUCA on a firstcome basis and to Downtown and the Texas Medical Center. * Spacious guest rooms and suites, each with a Tuscan feel, combine a contemporary lifestyle and old-world craftsmanship. All are equipped with flat screen HDTV. In-room coffee and tea is provided complimentary. All windows are operable. Breathtaking views of the outdoor pool or lush green space with mature trees and extensive landscaping provide each room with a special view. Some rooms have fully-equipped kitchens with china, glassware, cooking ware as well as balconies. * The first floor is comprised of the Grand Salon entry, 24-hr business center, retail shop, meeting rooms some with terrace and beautiful view, lounge, library, dining areas, health club with the latest fitness equipment and a beautiful heated pool and spa.